Inspired by celebrated novels written by Peter Temple, ‘Jack Irish: Bad Debts’ and ‘Jack Irish: Black Tide’, Andrew Knight and Matt Cameron have adapted the story of ‘Jack Irish’ to a telemovie to be aired on ABC1. 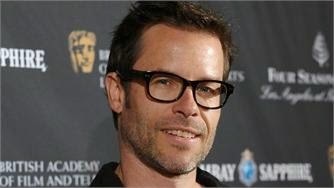 Jack himself will be played by the accomplished Australian actor Guy Pearce (Neighbours, Home and Away, The Hurt Locker, The Proposition) and co-stars will include Shane Jacobson (Kenny) and Don Hany (Offspring) among others. Also casted for roles in this exciting new production are Bettina’s very own Gabrielle Smith and Scarlett Wilson! Even Gabriella’s mum was involved! The telemovie will be filmed in and around Melbourne and is scheduled to air in 2012.